Today’s townland is Saintfield Parks. Unsurprisingly, it is located in the town of Saintfield, County Down. This townland is less saintly than it first appears. 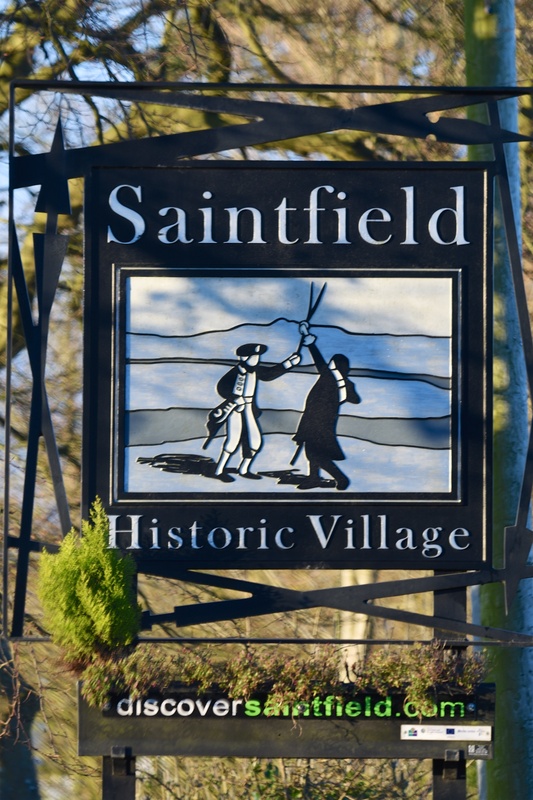 The English placename ‘Saintfield’ only came into use in the 18th century, as a translation of the Irish Tamhnach Naomh meaning ‘field of saints’. However PLACENAMESNI points out that Tamhnach Naomh may be a ‘re-interpretation’ of Tamhnach Naoine meaning ‘field of hunger’ and describing land of poor quality for farming. The hungry land has since been put to better use as a high street. 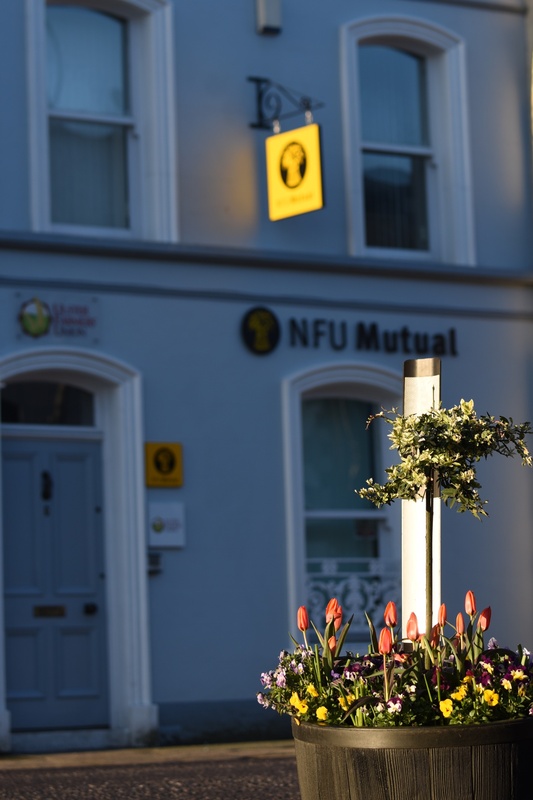 As well as the Farmers Union office in this photo, there are shops, churches and places to eat. As for ‘Parks’, well, I’m getting more familiar with that name superseding an older townland name when a village is established, having already visited Town Parks of Comber and Town Parks of Donaghadee. The town is more welcoming than this sign would suggest. The picture on the sign represents the Battle of Saintfield which took place on 9th June 1798. Behind the Parish Church, at the far end of the graveyard, is a display of information panels about the battle, which was a victory for the United Irishmen in their ultimately unsuccessful rebellion against British rule. 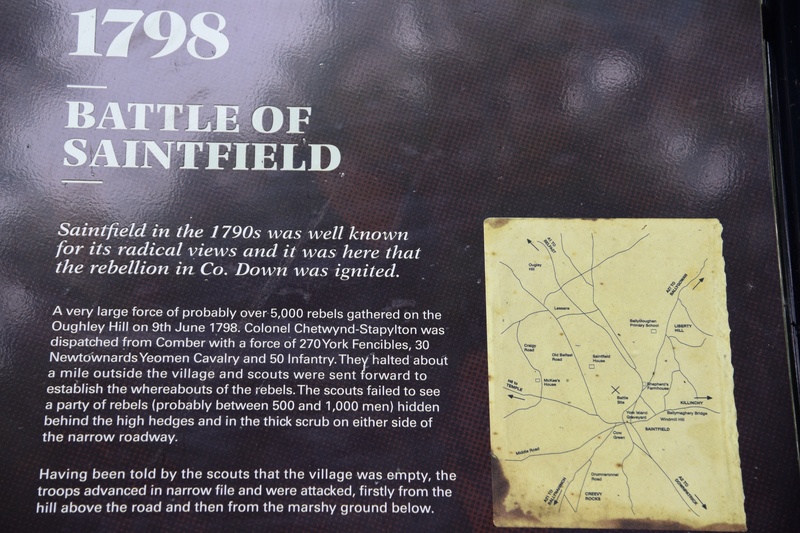 After their initial success at Saintfield, the rebels were heavily defeated on 13th June at the Battle of Ballynahinch, effectively causing the collapse of the uprising in Ulster. The gravestone in the next photograph is for one of the rebels. 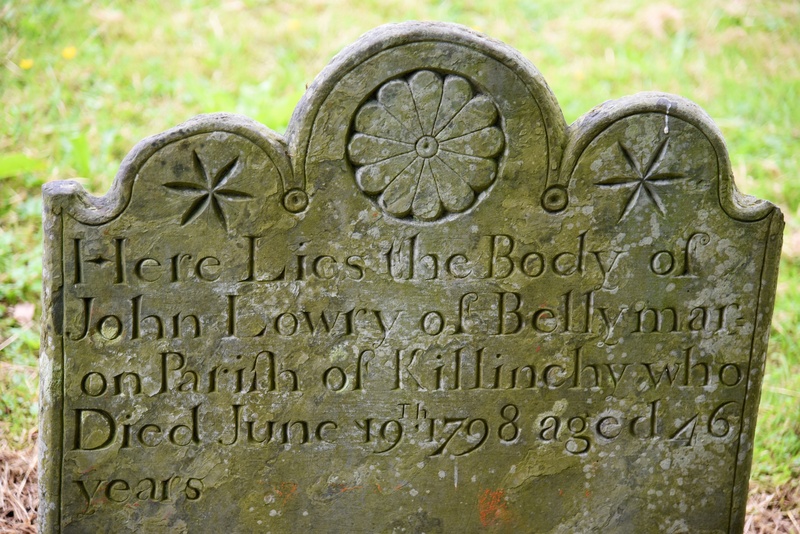 John Lowry came from the townland of Ballymorran, which I visited in May 2015 (at least that’s how I interpret ‘Bellymaron’). There is a useful local website called Discover Saintfield– click here for a link to some interesting views of the town in old photographs and postcards. 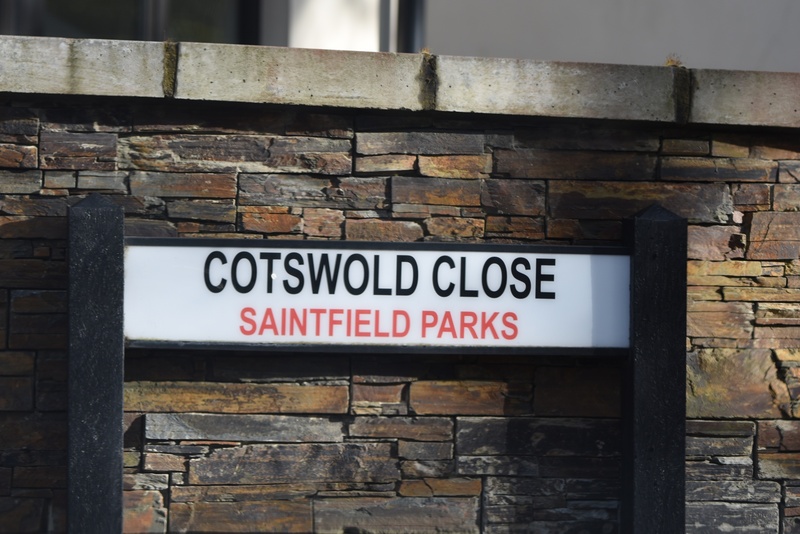 Which townlands border Saintfield Parks? To the north, Glasdrumman. To the east, Ballyagherty and Leggygowan. To the south, Drumaconnell East. To the west, Drumaconnell West and Lisdalgan. Click here for a map of Saintfield Parks on Townlands.IE.